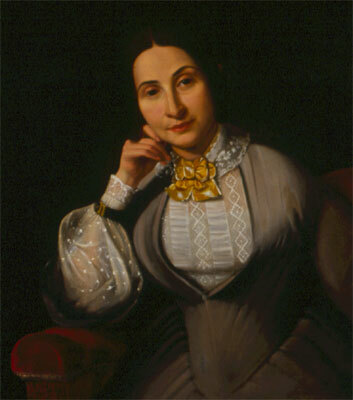 Born in Philadelphia, the only girl among Isaac and Rachel Cohen Lyons’s six children, Isabel Rebecca grew up in Charleston. Her father was a native of Oberelsbach, Germany. He settled first in Philadelphia, where he met and married the daughter of Jacob Cohen, hazzan of the city’s first synagogue, Mikveh Israel, before moving south around 1811. Early in the 1820s, the family left Charleston and relocated in Columbia, where Isaac and his sons opened a grocery store at the corner of Richardson (Main) and Gervais Street. In 1828, Isabel married future state senator Moses Cohen Mordecai, with whom she had eight children. 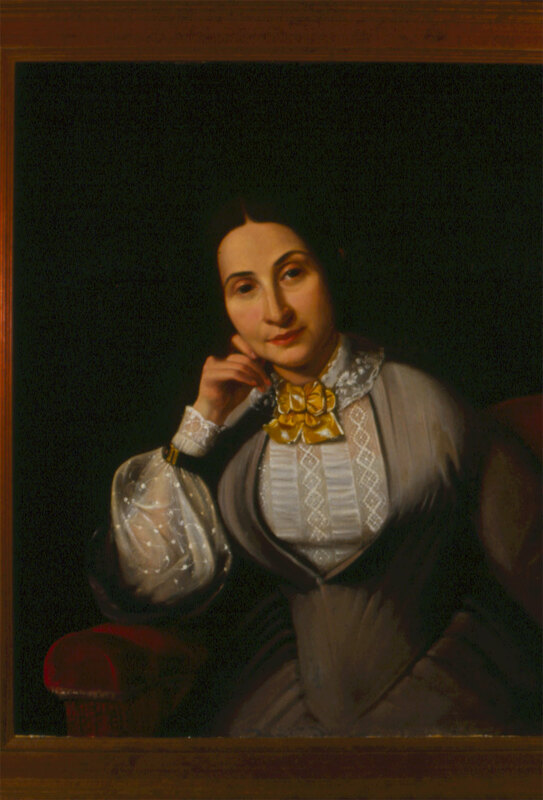 Isabel’s brother Jacob Cohen Lyons married Louisa E. Hart, daughter of Louisa Barnett and Abraham Luria Hart, who ran a music shop in Philadelphia. Two of Isabel’s other brothers became doctors: Isaac served as surgeon general of the Texas army; Joseph received his medical degree from the University of Pennsylvania. Another brother, Henry, made his mark in banking and politics. A director of the Commercial Bank of Columbia, member of the Hebrew Benevolent Society, and warden of the city for eight years, Henry Lyons was elected mayor of Columbia in 1850, the second Jewish man to attain this post.